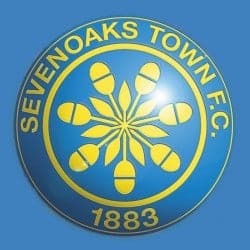 The Hoops upset the odds to reach the semi-finals of the Kent Senior Trophy with a battling extra-time victory against in-form Sevenoaks on Tuesday night. 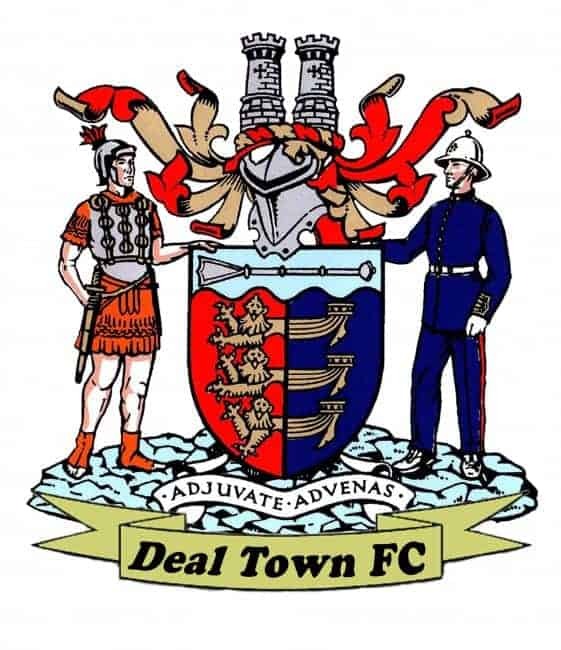 Playing against a side 15 places above them in the Southern Counties East League table, Deal’s chances of progressing appeared slim beforehand especially after last Saturday’s home defeat by Erith Town. But Derek Hares’ team, boosted by the return of skipper Dean Hill and Joe Anderson and also by new loan signing Kane Smith from Ramsgate, produced a display full of guts and commitment to overcome a Sevenoaks side beaten just once in their previous 14 matches. Deal were also given the boost of a 7th-minute penalty save by keeper Chris Waymark who, having conceded the spot kick after tripping Byron Walker, then made immediate amends by diving to his left to keep out Kieron McCann’s spot kick. The Hoops then proceeded to more than hold their own for the next half hour before taking the lead with a 36th-minute strike from Steve O’Brien following good work by Charlie Walsh and Jack Paxman. Two minutes later, however, Deal’s familiar fallibility at set-pieces resurfaced as Tom Ripley was allowed to head home Greg Benbow’s corner unchallenged and then, a minute before half-time, the Hoops suffered a potentially demoralising blow when Liam Hark headed McCann’s cross into his own net. But Hares regrouped his men during the interval and again they gave as good as they got during the second half before equalising six minutes from the end of normal time. Substitute Ryan Philpott shot low against the far post and Walsh forced home the rebound to set up the extra period. And it was Walsh, who along with centre-half Smith gave an outstanding display on a night when Hares could be proud of all his players’ performances, who fittingly grabbed Deal’s winning goal near the end of the first period of added time. O’Brien curled a corner into the near post where Walsh booked the Hoops’ place in the last four with a flying header. Deal: Waymark, Scott, Hark (Philpott 80), Hill (Adams 73), Smith, Bigginton, Paxman, Walsh, Coyne, O’Brien, Anderson (Gregory 66).